Ashika* lost her job when she refused to give up her employee status for an independent contracting arrangement with the same business. Feeling that she’d been wronged but not knowing what she could do about the situation, she came to Inner Melbourne Community Legal (IMCL). IMCL has been serving its community since 1978 when it first opened as North Melbourne Legal Service. This community legal centre (CLC) offers a wide range of services – from advice to representation to community legal education, covering areas of law as diverse as family violence, fines and tenancy issues. This all-rounded approach is key to IMCL’s success. Even so, its capacity was limited and employment law cases like Ashika’s surfaced as an unmet legal need. IMCL didn’t have the expertise. What it did have, however, was connections with expert law firms. When IMCL partnered with Clayton Utz to launch a fortnightly employment law clinic, the idea was to create a sustainable solution. Graduate lawyer Hannah Fessah at Inner Melbourne Community Legal. Photo courtesy of IMCL. Often pro bono lawyers deliver expert legal services at a distance from community lawyers. 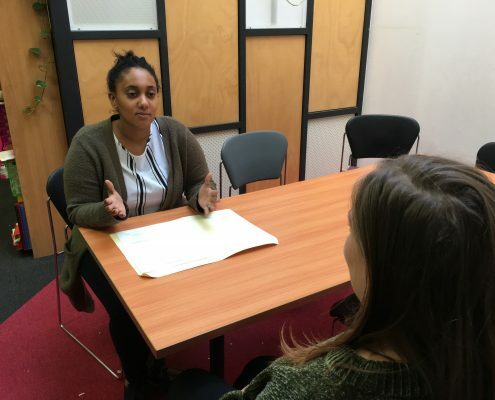 It is not unusual to see pro bono lawyers independently operating legal clinics based in CLCs such as drop-in night clinics to provide initial legal advice. Alternatively, referrals in areas outside CLC practice are made to the firms and there is little to no contact maintained by the CLCs and their clients. IMCL and Clayton Utz have taken a different, more hands-on approach – one that builds capacity within IMCL itself. The firm’s commitment to mentoring IMCL lawyers is reflected in the intensity of the resources it has dedicated to the partnership. Clayton Utz lawyers collaboratively run ongoing cases involving actions like Fair Work claims and negotiating settlements, accompanying IMCL lawyers to conciliations and providing real-time strategic and procedural advice. 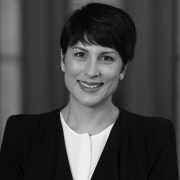 Clayton Utz Senior Associate Ruth Thevathasan worked with IMCL graduate lawyer Hannah Fessah on Ashika’s case. 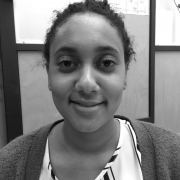 While Ruth, as an experienced lawyer from her firm’s Workplace Relations, Employment and Safety team, took the lead in the provision of legal advice, Hannah facilitated the connection with Ashika and brought to the table her understanding of the intricacies of community lawyering. Working with Ruth gave Hannah the opportunity to rapidly upskill in this new practice area. IMCL graduate lawyer, Hannah Fessah. Photo courtesy of IMCL. Clayton Utz Senior Associate, Ruth Thevathasan. Photo courtesy of Clayton Utz. And it was the client who benefited from this knowledge transfer. Ashika was unable to get private assistance and would have had to “do it alone”, having only a limited understanding of the law. Ultimately, IMCL and Clayton Utz were able to ensure that Ashika did not suffer a disadvantage, either professionally or financially from her former employer’s actions. The experience also served as a source of personal growth and strength for Ashika. “Friends have said I’ve become an even stronger person from this experience. I feel proud of having stood up to bullies who were doing the wrong thing,” she said. *A pseudonym has been used to protect the identity of the client. You can learn more about Inner Melbourne Community Legal here.